Winston Churchill said, "a fanatic is one who can't change his mind and won't change the subject." Miami is fanatical about this pub and we're staying on topic. We at NBC were proud to report that Churchill’s Pub received the best music venue award. Out of all the bars, hovels and theaters in Miami, this British pub in Little Haiti made the #1 pick. 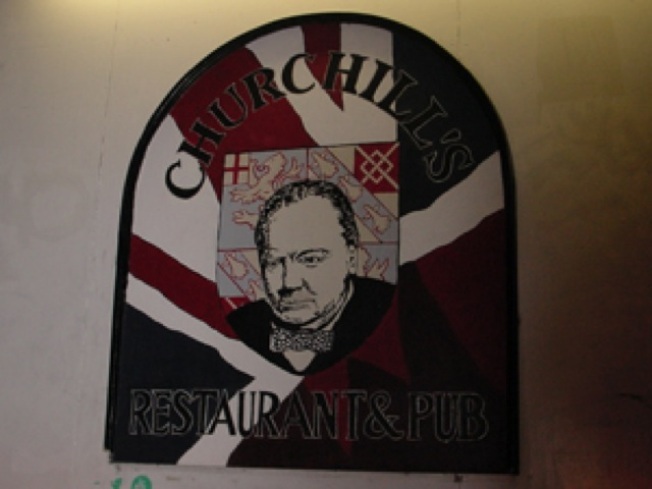 Churchill’s is like a second home, it is the place we gather to listen to music, gossip and poetry. Those walls have sheltered performers for thirty years, offering all types of musicians and artists the perfect platform for their voices, movement, instruments and laptops. From jazz to noise to plain rock ‘n’ roll, there are few genres these walls haven’t heard. Maybe the bathrooms aren’t the cleanest, but we’ve all watched the kittens in the back grow to cats and have drank ourselves silly at this, the best of watering holes. This Wednesday, The Circus has pulled together a fabulous musical lineup to celebrate the honor. We’ll proudly be there to represent the opinion of the people and to present the Golden Local Award to this beloved bar. There will be some local favorites on stage, like Dino Felipe, performing his eclectic brand of electronic noise. Other bands include Golden Age of Television, TUSK, Raja Khan, Vladez, Buba Goes to Chaos, This Heart Electric and Xela Zaid. The back stage has been revamped and will be used as a melting pot for attending musicians to mix their styles and talents, they're calling it, "a delicious experiment." We're just happy that there's still a platform for experimentation in Miami, and that we can all enjoy it together. There’s a free wine tasting before nine and entrance is only $5.